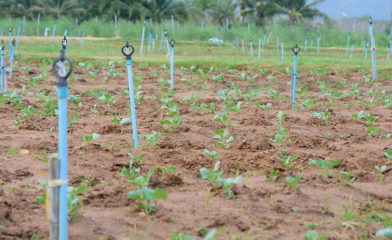 We have reached the conclusion to our mini series on drip irrigation systems and we hope you have been able to take something away that you may not have known. I’m sure over the last five weeks a question has come up over and over again – “Is a drip irrigation system right for me?” Let me ask you this: Does your yard or garden get water by a sprinkler? Do you use a hose to water your trees or plants? If you answer yes to either of these two questions, then a drip irrigation system is a right fit for you! We have given all the tools and knowledge necessary to hopefully help you in making a great decision that will help benefit your family to come. With the South Texas heat and the lack of rain we have seen this last couple of weeks, we hope that you will make the switch with us. Saving our resources and making water last a few years longer is a goal of ours here at H3O, and we hope with this series it has become important to you as well. From our family to yours we invite you to give us a call and have one of our certified technicians come out and give your property a fast and professional estimate. If you or your company is ready to make the switch, we are ready to create a custom drip irrigation system! Give us a call today, we promise you won’t be disappointed.